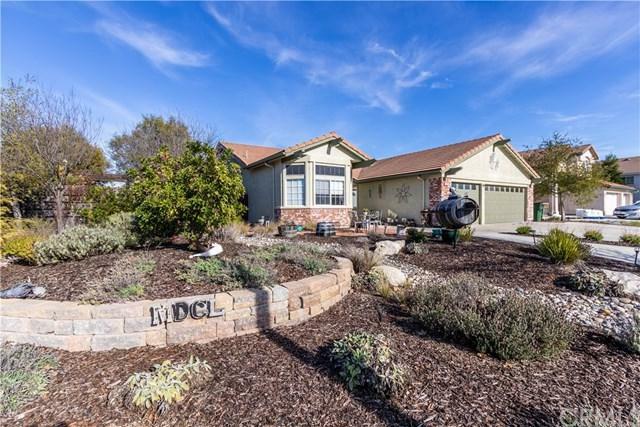 Welcome home to one of the most desirable neighborhoods in Paso Robles, due to its+GG wide tree-lined streets and close proximity to downtown shopping and restaurants. 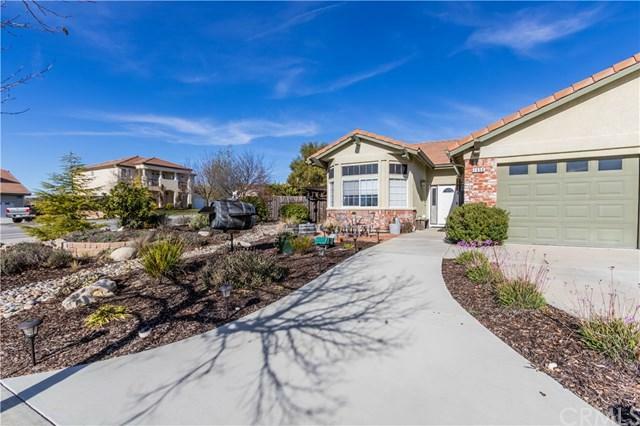 You will be sure to enjoy this single-level home situated on a corner lot with low-maintenance landscaping and whimsical details. Walk into the home and notice the stunning maple manufactured-wood flooring, the sunny front reading room with bay window, dining room just off the kitchen and open floor-plan kitchen and living room with gas fireplace. The kitchen boasts a double-oven, granite counters, stainless steel gas cook-top, pull out drawers in most cabinets and breakfast bar. 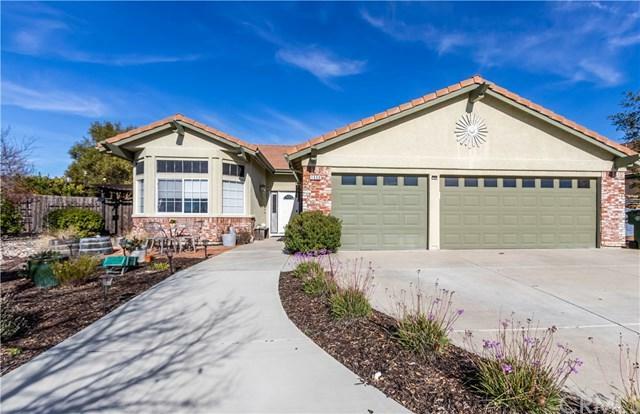 The home is 2111 +/- sf, with 3 bedrooms and 3 bathrooms. The front bedroom is set up as the ultimate office. This could be your home-business headquarters with custom-made bookcases, two walk-in closets for extraordinary storage or used as a bedroom, these could be the shoe-lovers dream closets! One of the closets can be converted to a 4th bathroom with plumbing already in place to do so. Two more bedrooms each have their own en-suite bathrooms. A three-car garage with painted floors and built-in cabinets for the hobbyist, raised planter beds for the gardener, and an outdoor pergola for dining and entertaining, round out this lovely home. Buyer benefits include low-energy bills from the solar lease and a "Ring" doorbell for the tech savvy buyer. 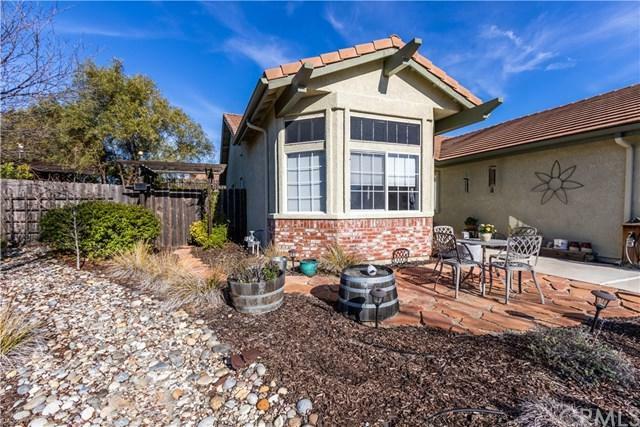 Don+GGt miss out on this lovingly-maintained home in a wonderful neighborhood. Sold by Lauren Beckett of Bhhs Hallmark Realty. Exclusions Desk And Filling Cabinet in Office.